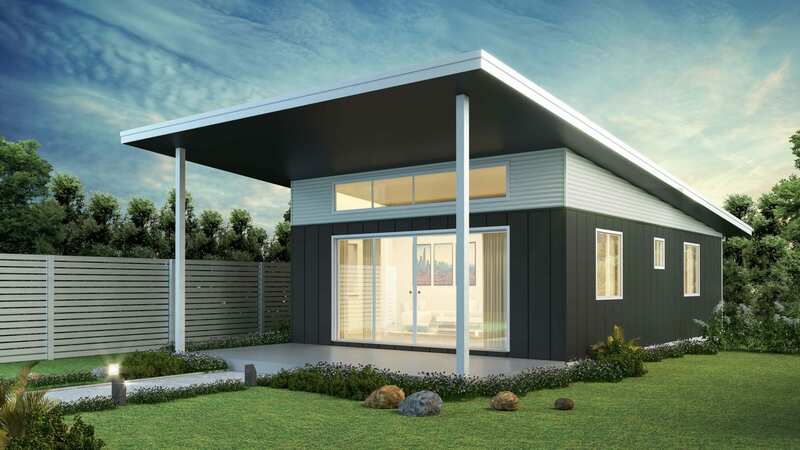 The Silverdale is a contemporary designer granny flat featuring a striking double skillion roof. 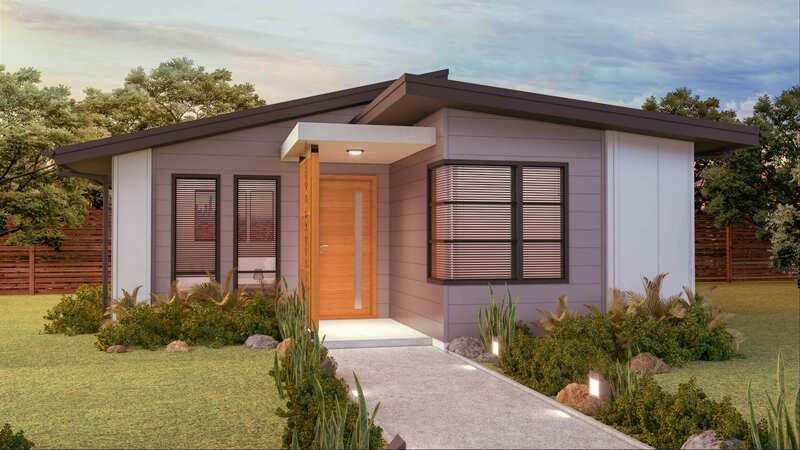 The unique floor plan is easily customizable to add practical front and rear patios in varying sizes to suit the tastes and budgets of all people. 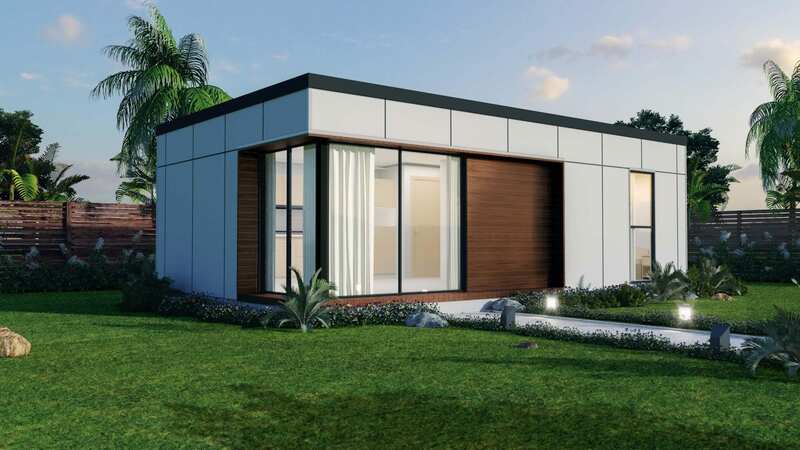 The internal floor plan is functional and spacious and is a full 60m² including two bedrooms. 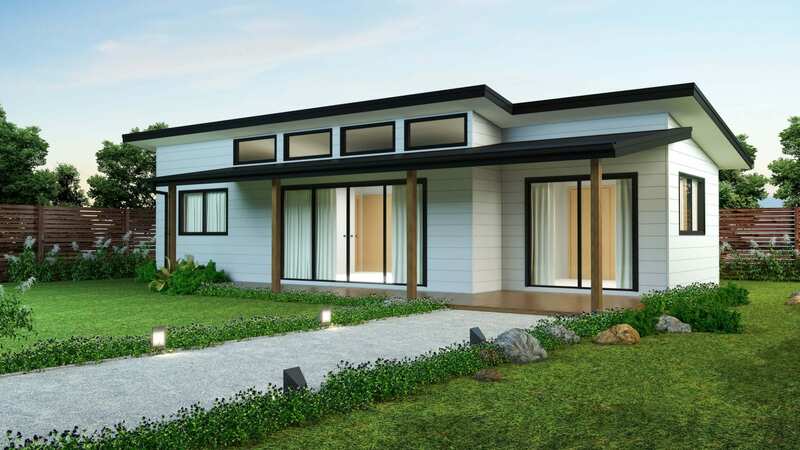 The main living area has a raked ceiling, and highlight windows are included in the design creating an additional sense of space.